Cheaper patents have been cited on The Next Web as being one of the reasons that European startup companies move to the US and Asia. Tim Difford claims in his article that it can cost up to five times more to acquire a patent in Europe than it does in the US and three times more than it does in Japan. This seems highly questionable when EU Commissioner for the Digital Agenda, Neelie Kroes is presenting a plan to boost the EU’s competitiveness and remove blocks to cross-border trade. 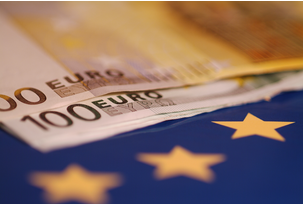 One of the added expenses with patents in the EU is the need for translation. An issue that is relevant to languages in patents is covered in a report on Intellectual Asset Management’s blog on 22 June on the attempts being made by Margot Frohlinger, Director of Knowledge Economy in the European Commission, to create a single EU patent and the obstacles being faced. The fact that applications need to be submitted in English, French or German (with no translation into the national language required) seems to be a major cause of contention here. A reason cited for this is resistance by private service providers whose main source of income is “rubber stamping translations”. Are cheaper patents on the way? To the uninitiated it seems like a no-brainer to create a pan-European patent to try to bring down costs and speed up applications, especially with patents being blamed by European Voice.com as one of the “biggest obstacles to innovation in Europe”. It remains to be seen if the bureaucrats in Brussels really have the determination needed to overcome the objections of the member states that seem to be deliberately holding up the process. European Patents Office spokesman Rainer Osterwalder claims that Alison Brimelow, the outgoing EPO president, expressed some scepticism about an imminent political breakthrough. The message here seems to be that a breakthrough on a pan-European patent is not predicted for the imminent future. With the state of the global economy, it seems inexplicable that there are those that seem to be working against their own interests in such a regrettable way.